ESPN fires Curt Schilling for anti-trans Facebook post. 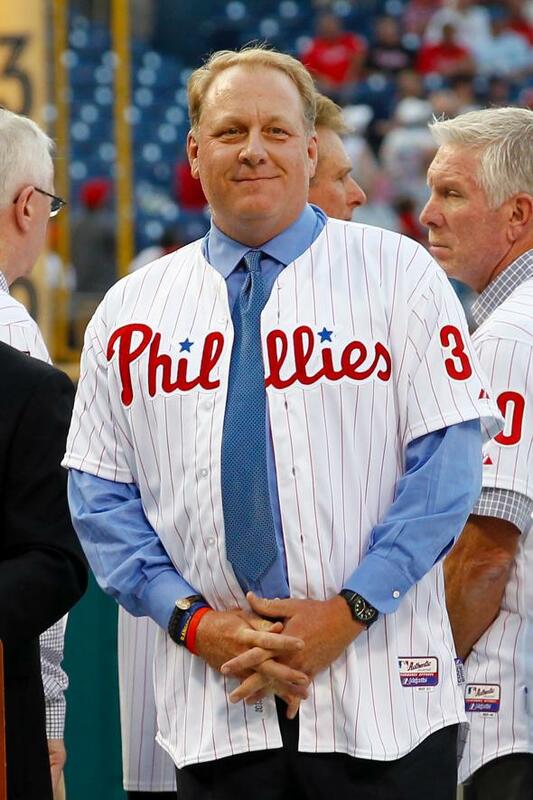 Former Philadelphia Phillie Curt Schilling during a “Wall of Fame” induction ceremony on Aug. 2, 2013, in Philadelphia. Down goes Curt Schilling! ESPN fired the former All-Star pitcher Wednesday after he weighed in earlier this week on Facebook with his retrograde thoughts on a small portion of new, discriminatory North Carolina law that specifically bans trans people from using the bathroom that aligns with their gender identity. Schilling has been outspoken about his Duck Dynasty–esque views since he joined ESPN as an analyst in 2010, a stance that had increasingly run afoul of the network’s top brass, who seemed intent on not alienating the portion of America that wasn’t voting for Donald Trump. ESPN released a short statement Wednesday: “ESPN is an inclusive company. Curt Schilling has been advised that his conduct was unacceptable and his employment with ESPN has been terminated.” Schilling has not commented on his termination.